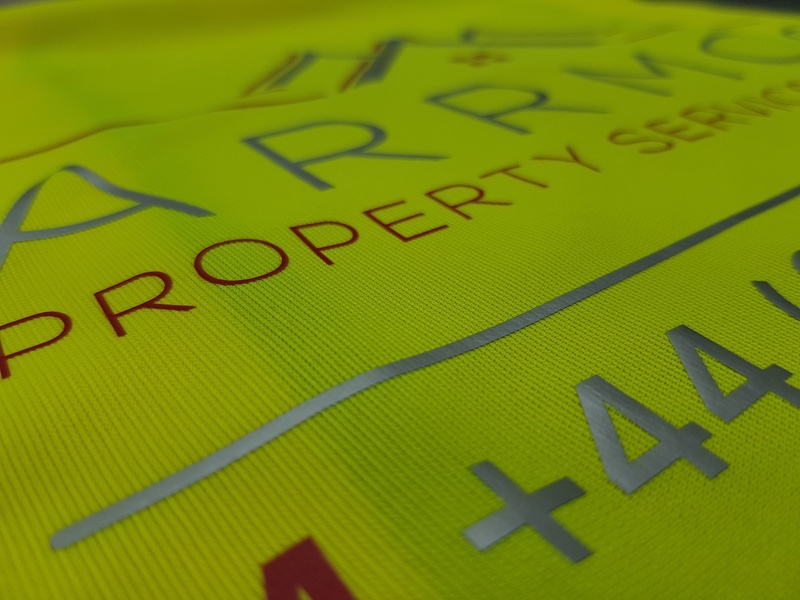 2 colour logo print on Hi Vis Safety Vests for our client ARMMCO Property Services. These were as a package including graphic design and Business Card printing. 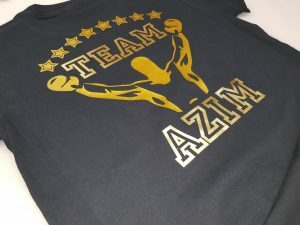 Printed T shirts in 2 tone gold prints front and back For Hassan Azim Engand Youth Amateur Boxing Association Champion. 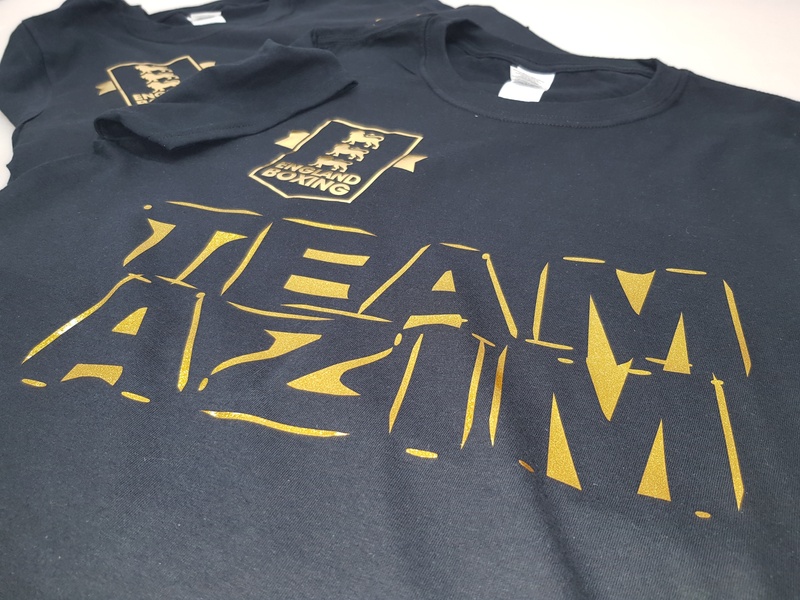 The T shirts were Black with imprint in Gold Foil and Glitter Gold and they looked great. 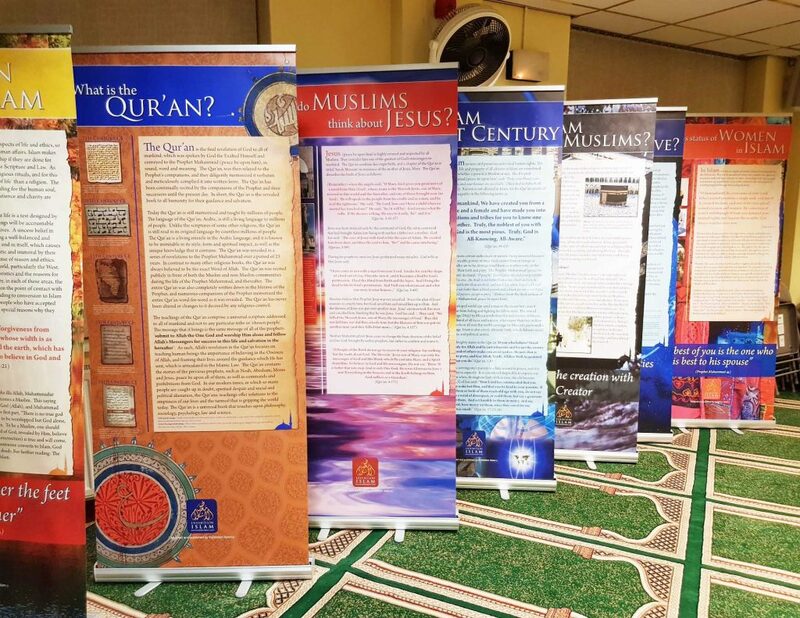 Manufactured 12 Roll-up banners in time for the 2018 Visit My Mosque event at TIECM Maidenhead. Printed A1 posters for the Syria Winter Appeal. 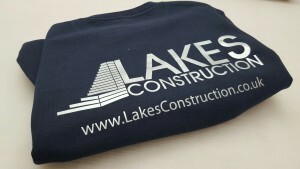 Lakes construction, a long time client of Print Droid wanted to update their uniforms. 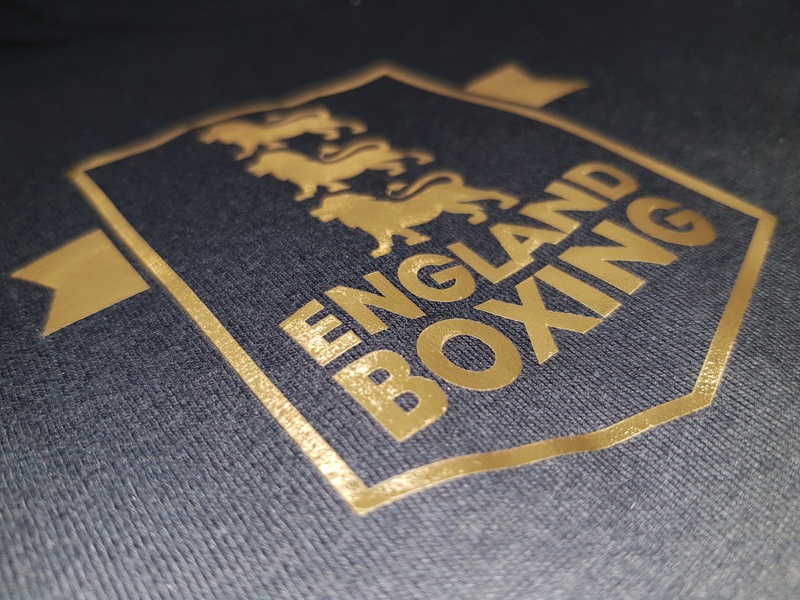 They selected a range of Tshirts, Sweatshirts and 2 Tone Hoodies in black and navy blue. They chose to go with a single colour silver vinyl print on the front left chest and a larger print on the back of the uniforms. 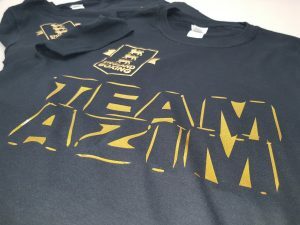 We try to offer a reasonably quick 3-5 day turnaround on our 1 colour tshirt printing, if you have any suggestions about the range of colours or products we offer in this category, please leave some feedback. Thank you. 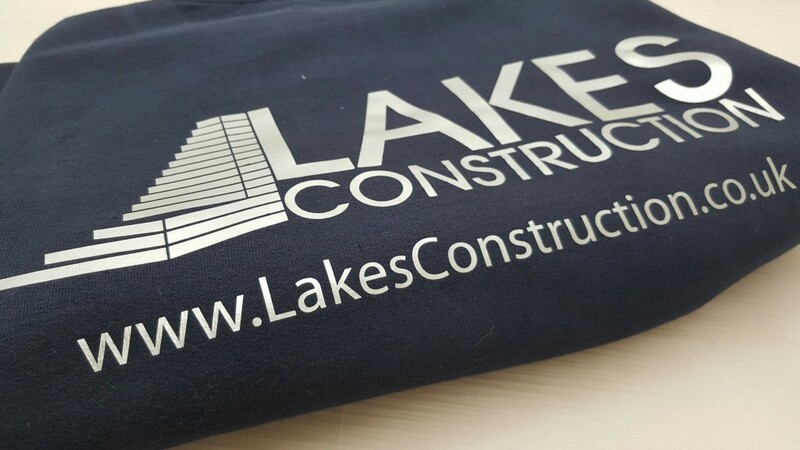 At PrintDroid we can supply 2 types of Decals for your vehicle or any other flat or slightly curved surface. Type 1 are calendared vinyls cut to shape. 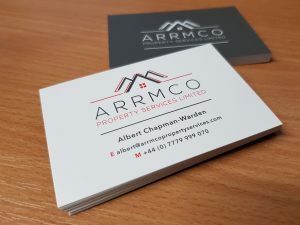 Type 2 are full colour printed stickers which are then cut to shape. 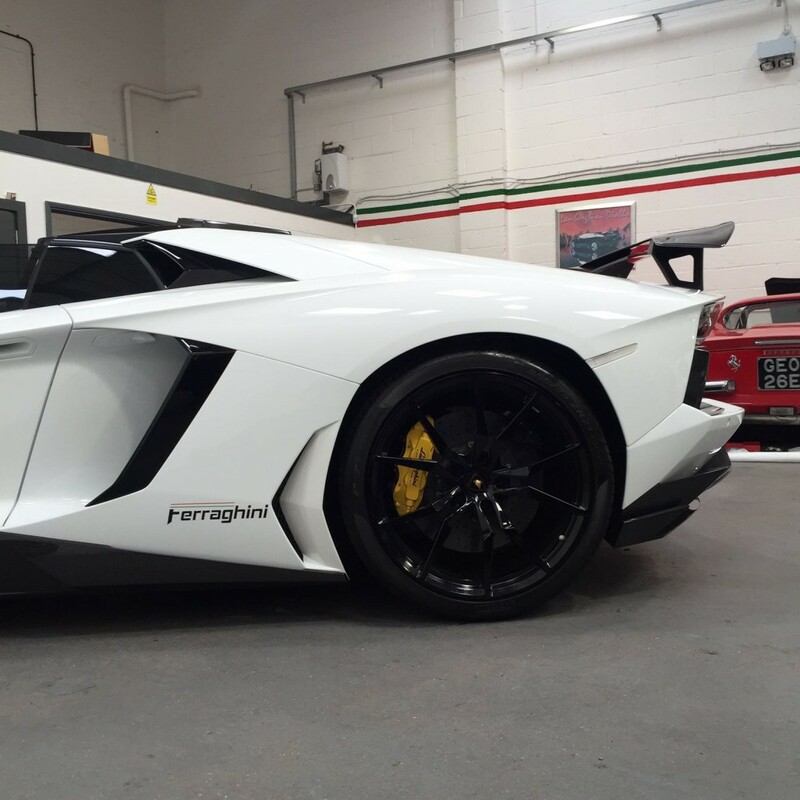 Our most recent Decals have been for Ferraghini Performance Cars of Kent. Heres some of the services they offer…. 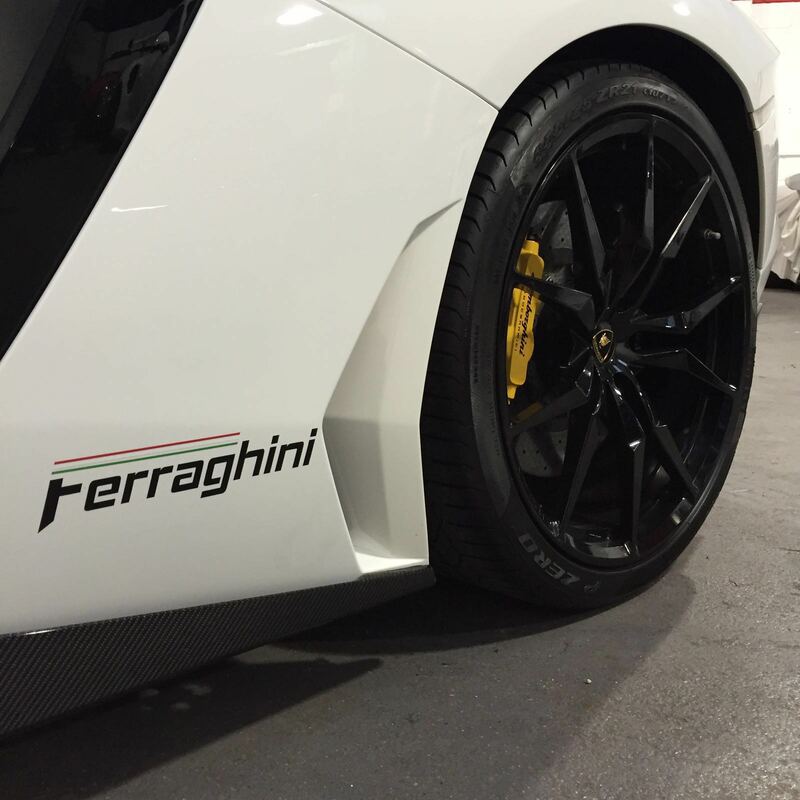 They required a 4 colour calendared vinyl of their logo for applying to the high performance vehicles they sell. In this case it was a red, white, green and black. Our Vehicle decals are cut from 7 year polymeric vinyl’s with either acrylic or solvent acrylic adhesive for long lasting applications. At Print Droid Ltd we love to do our part for charity, that’s why when we were approached by Salvation Youth Trust of Maidenhead we were more than happy to help with the design of their new brochure/booklet. The British charity based in Maidenhead provides charitable services for local causes as well as internationally. 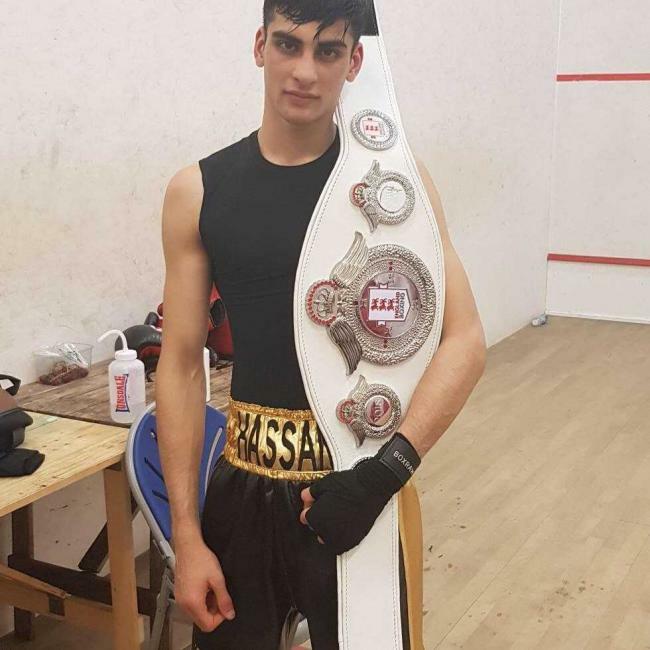 Working in partnership with the Royal Borough of Windsor and Maidenhead (RBWM) and Maidenhead Youth Services as well as Intensive Family Support, has abled SYT to provide youth centre services for 8 to 18 year olds, including sports and educational support. Print Droid designed a new icon for the charity’s 100% donation policy as well as designing the brochures layout as well as arranging the printing of the booklets. 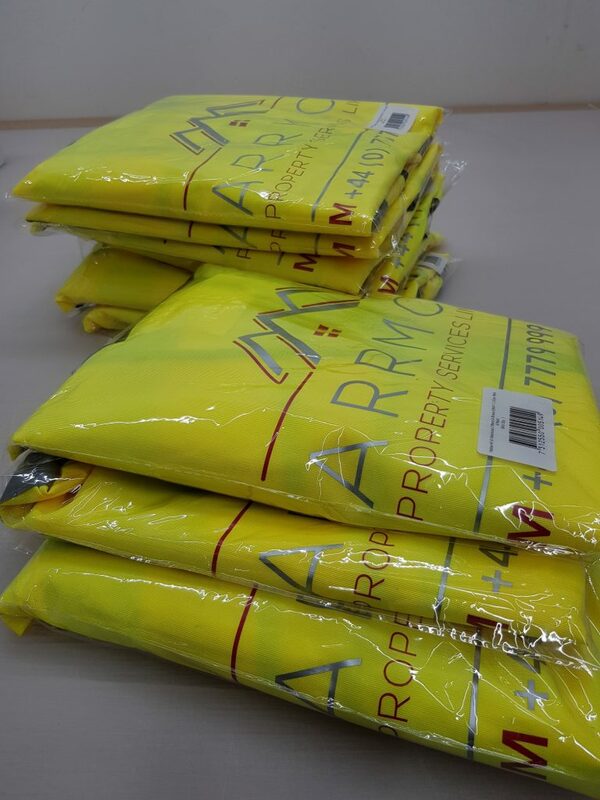 Have you or your client ever been under pressure for same day laminated printing? Most other print suppliers cannot meet your needs, but Print Droid can ! 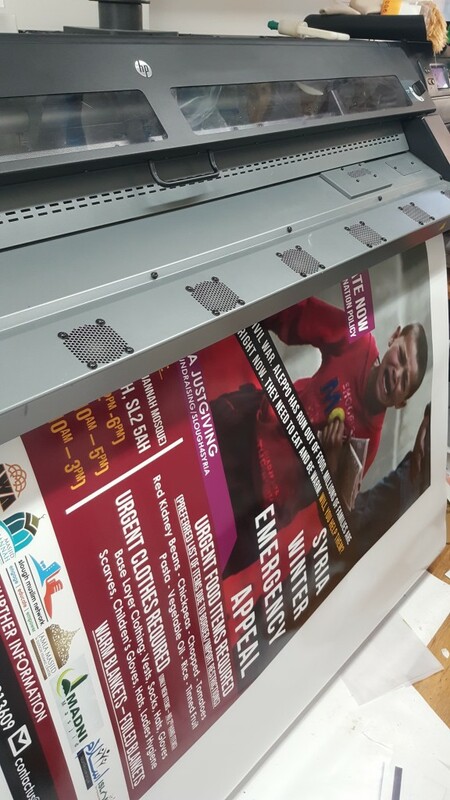 Recently Print Droid supplied ‘sameday’ printing of banners and posters for events in and around slough. A0 posters printed for Masjid Al Jannah on Stoke Road Slough, Radio Ramadan and also for the Arab Welfare Association of Slough who organised a great Family Fun Day at Upton Park. 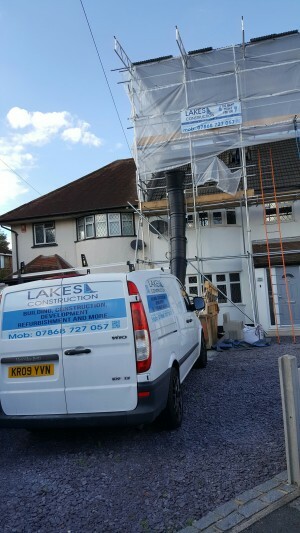 Delivered posters and PVC banners on a same say service locally in Slough.